After initially leaking back in September, Samsung has confirmed via the Samsung Developers Conference 2018 app that its official Android 9 Pie update is just around the corner and will be unveiled at the company’s event this week. The overall look of the software is set to get a big refresh that includes an updated lock screen complete with modified fonts, revamped app icons, and new on-screen navigations buttons that are much more simplistic. All of this will also be accompanied by a new Dark Mode which has been a highly-requested feature for quite some time now. 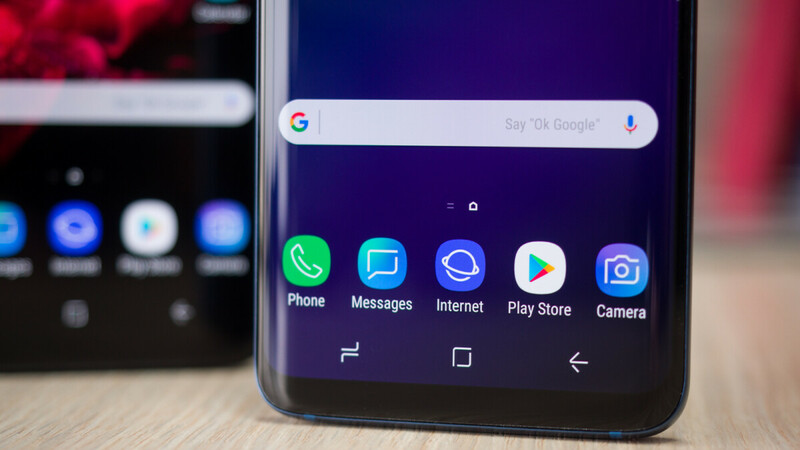 The beta version of Samsung Experience 10 will be available to Galaxy S9 and S9+ users shortly after its unveiling this week. However, in order to gain access to it, these users must reside in the US, UK, or South Korea. Alongside the regular Android 9 Pie update, the South Korean giant has also confirmed that it will be announcing a new user experience designed specifically for its foldable smartphone. The device, which is set to be called the Galaxy F, will reportedly go on sale in early 2019 and is set to sport a large 7.3-inch display. Additionally, it’s expected to launch in Silver and may also include 512GB of internal storage. It was updated from Android 6.0 to Android 8.0, I'm not sure how many major upgrades you were expecting when you bought it. Two major upgrades for a flagship in the Android space. That's been the standard for years. If you were expecting more, you expected too much. Lol. Last time, Note *8 update delay like 1-3 months after the long wait. I bet this time, my Sprint Note 8 would get the update by 2020, and it is the last update. I should either go back to iOS or Nokia or OnePlus. This is why you buy unlocked phones my dude. At first I thought we, Android users, are loved by the Google and the manufactures. However, as we have to put a lot effort in order to update our phones, it is like we are worshiping the God that doesn't a crap about us. My mom's iPhone 6 still receives the latest OS update. This pisses me off as my Note 8 doesn't get good treatment even it is only like a year. that means Samsung Flagships are getting the taste of Pie Around Dec, Why so late samsung, Others Oems have already released Pie, Pls do fast Samsung, Hope the Mid-Ends are mostly neglected. Why rush it? Oreo-based Samsung Experience already have more features than vanilla Pie. Google will copy some of those features in Android Q and R.
in order to get the beta you must sign up for beta testing with the google play store via. your computer, search for Google Play Services Public Beta Program and follow the instructions. once signed up, on your note 9 search for the Samsung+ app in the google play store and scroll down til you see join now for beta option, in doing so you become a beta tester and the app is updateable to the beta version which lets you register for the pie beta program.